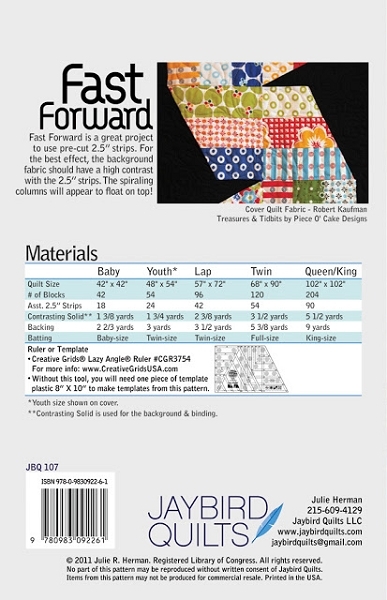 Fast Forward is a great project to use pre-cut 2.5" strips. 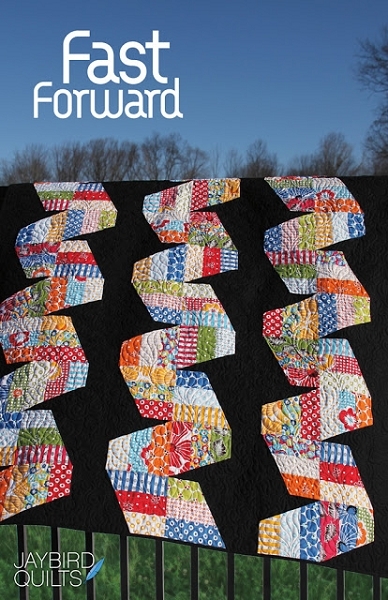 For the best effect, the background fabrics should have a high contrast with the 2.5" strips. The spiraling columns will appear to float on top.